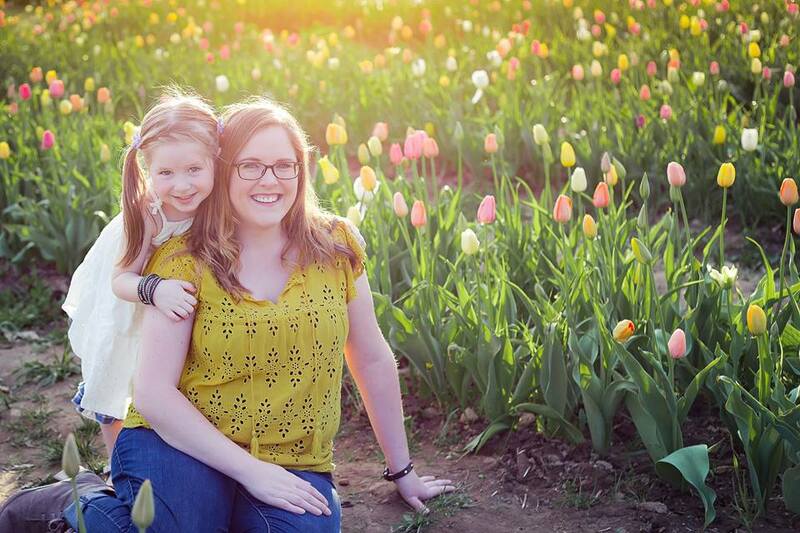 The past few days it has felt like Spring! It was in the 50s and 60s! There was even a point, sitting in the Target parking lot, while Avery slept in her car seat, that I had to turn on the AC! But, in typical New England fashion, we’re supposed to get a huge snowstorm today. So I needed something to brighten what will inevitably be a dreary few days. With St. Patrick’s Day right around the corner, I wanted to make something with that theme in mind. So I thought, what is bright and happy, and fits in with the St. Paddy’s Day vibe? RAINBOWS!!! I decided to make a big, bright,and adorable little french barrette! Avery has plenty (like, at least 25) shamrock hair clips, but she doesn’t have any rainbow ones. And her hair is finally long enough to pull back in a pony tail, so she can wear larger, french style barrettes!! 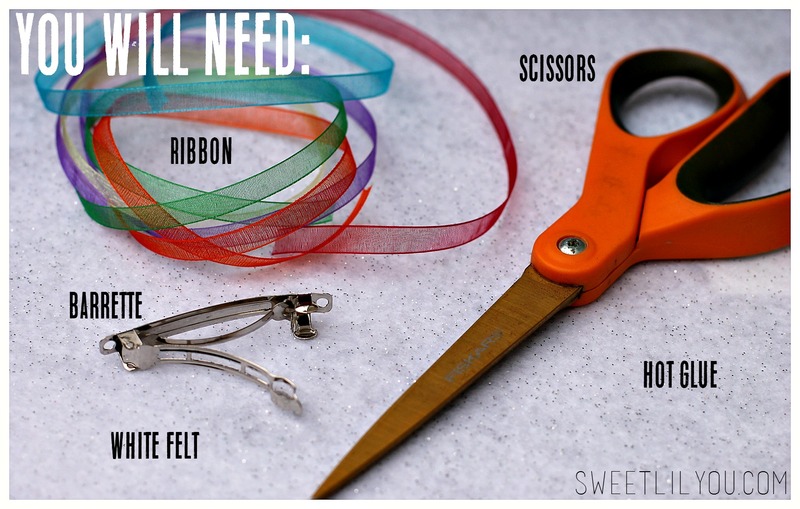 This barrette is very easy to make, and took me less than 10 minutes, start to finish! 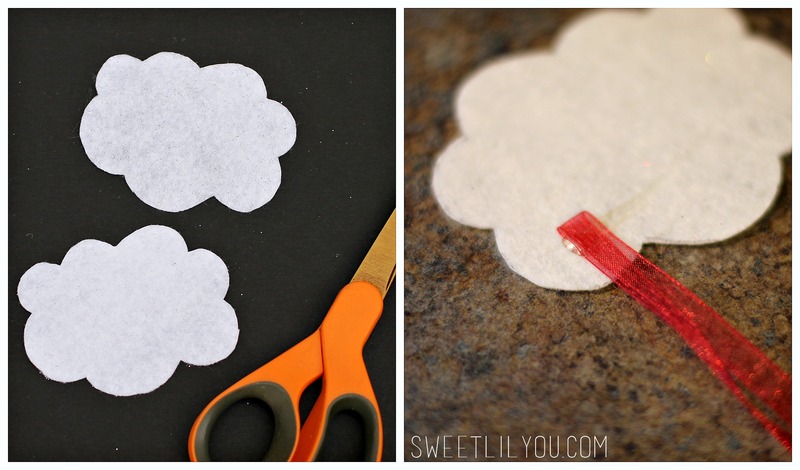 Next, cut out two identical clouds from your felt. 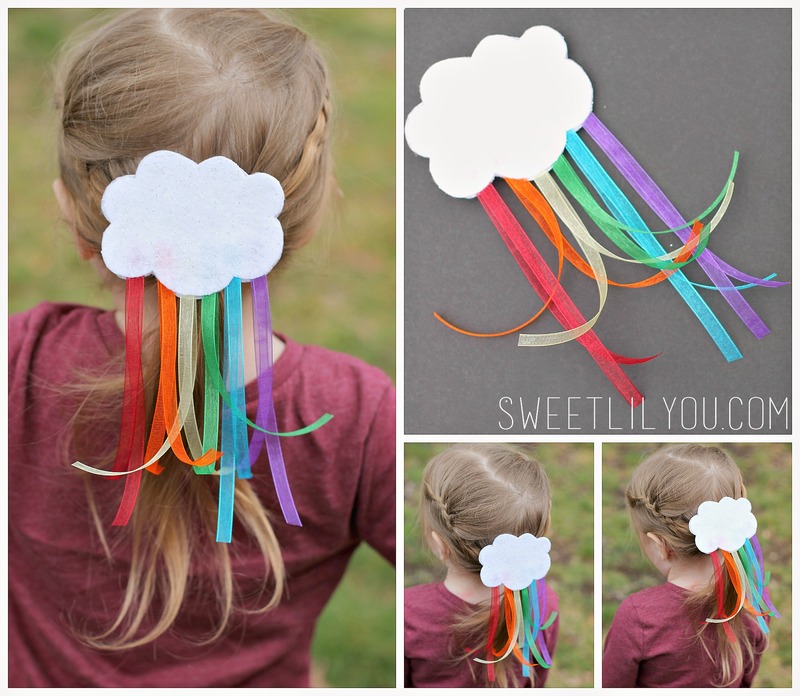 Make sure the clouds are large enough to cover the entire barrette. Avery chose a glitter felt to give it a bit of sparkle! 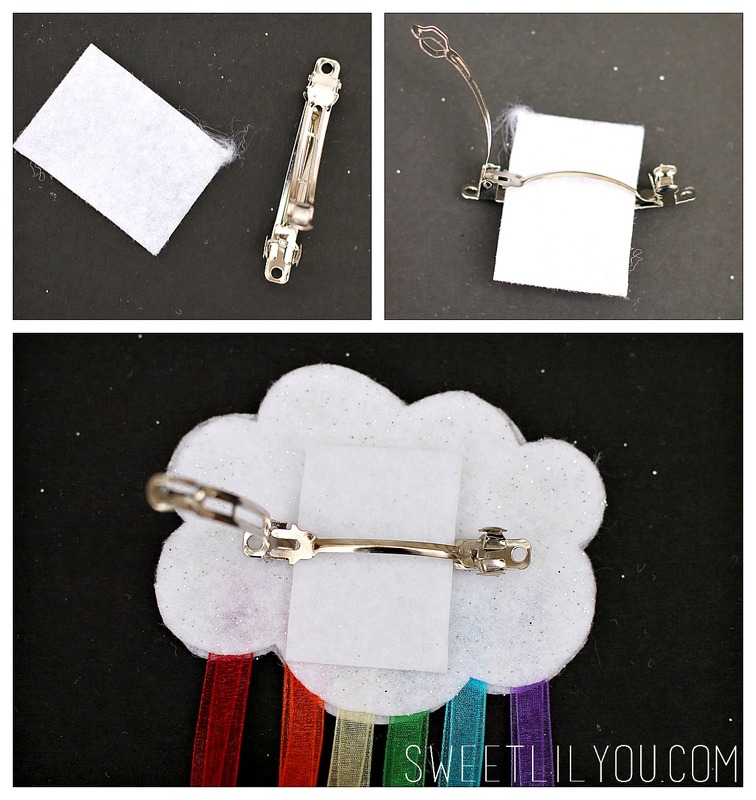 Now you can attach the barrette to the cloud. I cut a piece of felt to fit through the clip, and then glued it to the back of the cloud. Ta-Da!! All done! 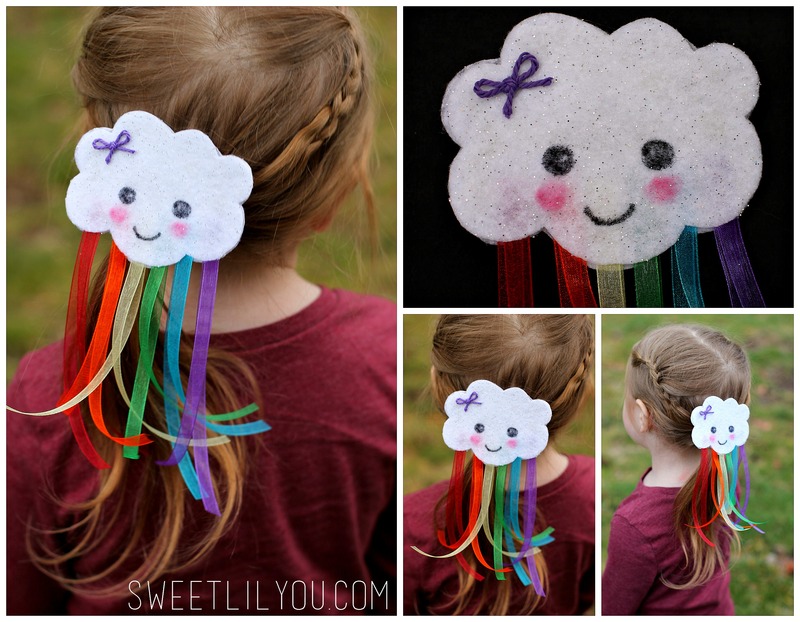 !A simple and adorable rainbow barrette!!! I loved the clip, but felt it was missing something… but what?! OH! I know!! A FACE!! I grabbed a marker and added eyes and a mouth. Then with a red crayon, I added the pink cheeks. She still needed something else, so I glued on a tiny little bow! Perfect! 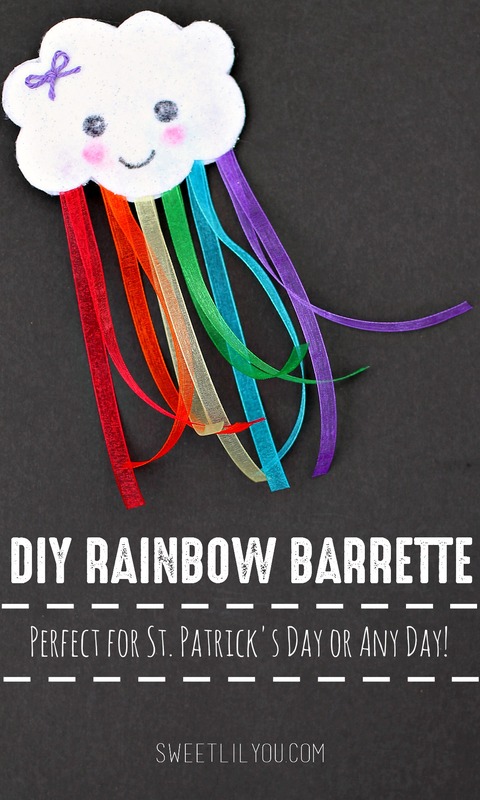 I think this Rainbow Barrette looks super cute and I can’t wait for Avery to wear it on St. Patrick’s Day!! Now if only I could find that pot of gold…. This entry was posted in crafts, DIY, Uncategorized and tagged crafts, DIY, st patricks day, style. That’s adorable! 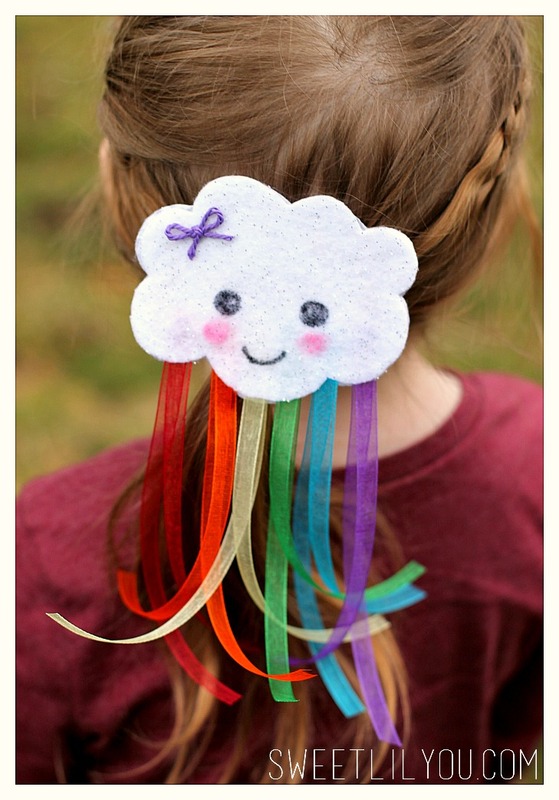 What a fun accessory for kids! This is such a cute ideas. I want to make one now. ADORABLE. And if you made it BIGGER, it could be a barrette holder!